It’s official! 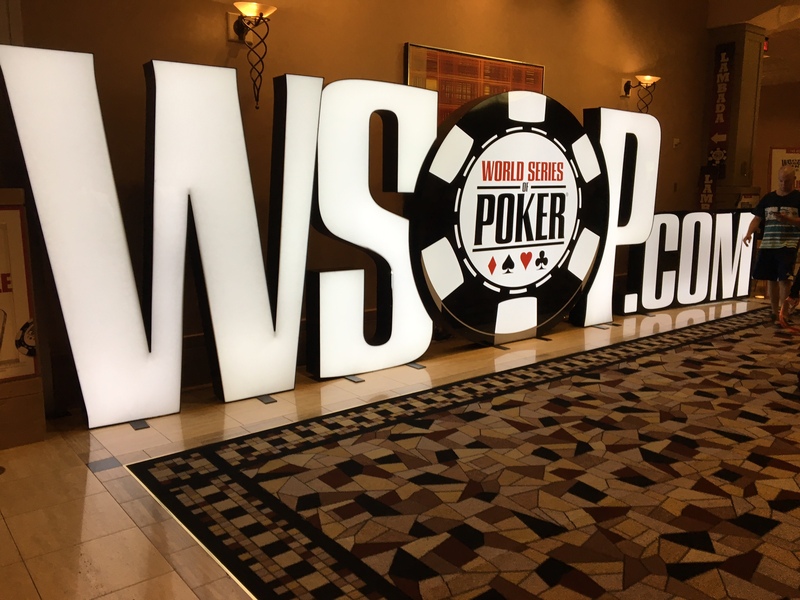 The tournament schedule has been finalized for the 2019 World Series of Poker this summer in Las Vegas, Nevada. The 50th anniversary of the WSOP will be held at the Rio All-Suites Hotel and Casino. The fun will start with the traditional Casino Employee’s tournament on May 29th and end six weeks later with a $5,000 buy-in NL Hold ‘Em tournament starting July 15th. 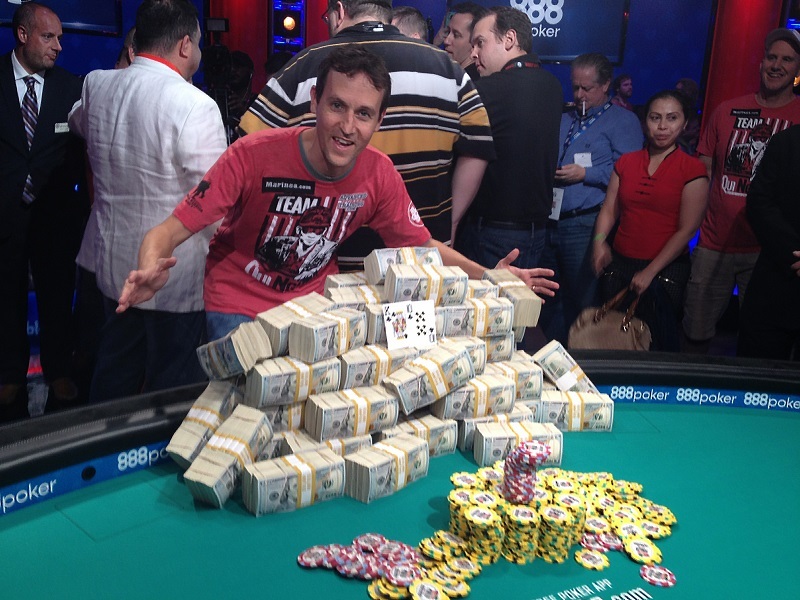 In addition to the traditional WSOP tournaments, there are plenty of new tournaments at the WSOP this year. In honor of the 50th running of the WSOP there will be a $50,000 buy-in No-Limit Hold’em tournament and a “Big 50” $500 buy-in event with a $5 Million guarantee and an unraked first entry. Short deck poker will have its debut at the 2019 WSOP, as well as a $1,000 buy in “Mini Main Event”. While there will be no Big One for One Drop this year, it’s counterpart the Little One for One Drop will start on July 6th. There will also be a $500 Salute to Warriors NL Hold ‘Em event benefiting US Military Veterans. The 2019 WSOP has scheduled 20 events with buy-ins of $10,000 or more. If you’re not looking to lay down that kind of cash, there are plenty of events with buy-ins below $1,000. In addition to the Big 50, those with smaller bankrolls can buy into the Colossus ($400), a number of $600-$800 Deepstacks, the above-mentioned Salute to Warriors, or the $888 Crazy 8s NL Hold ‘Em Championship. There are also a number of changes coming with the 2019 WSOP. For the first time this year, all No Limit Hold ‘Em events will feature a big blind ante. Re-entries will be more limited this year. Also, a number of events will be offering larger starting stacks. Main Event entrants will start with 60,000 chips (vs. last year’s 50,000) and can buy in until the start of Day 2. Changes are also coming to the Daily Deepstacks. In addition to the deepstacks offered last year, there will be weekly PLO Deepstacks events and weekly Seniors Deepstack events. Both of these will offer buy ins of $250. To stay in step with the WSOP and international trends, APT has updated its software to allow a big blind ante option for all tournament play. You can now play either the traditional individual ante method or play with the big blind ante. APT has also increased the Main Event simulation starting stack to be 60,000 chips. Of course, APT offers a variety of tools to help you prepare for the 2019 WSOP. Included among them are the tournament simulation tool where you can customize the structure to align with WSOP events you intend to play. With the ability to play 500 or more hands an hour, you can reduce a 10-12 hour tournament to well under an hour. APT also has tournament focused Beat the Pro Challenges from Alex Fitzgerald, David Williams, and Scott Clements. 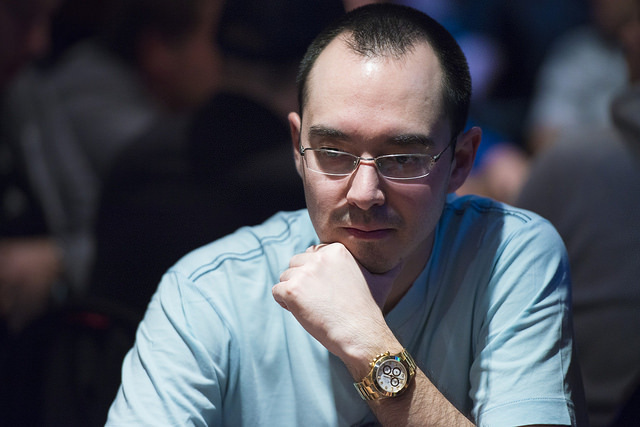 And most recently, APT has developed an exciting partnership with poker pro and highly regarded coach Kenna James. Kenna has put together several tournament Combat Trainer scenarios. Kenna offers multiple scenarios, including blind defense, standing up to the table “bully,” and how to play when you are on the bubble. Kenna’s Combat Trainer scenarios are “must-play” for any tournament regular. APT will be offering our annual Meet & Greet during the WSOP in June. The Meet & Greet date has been set for Saturday June 22nd. Special guests include Steve Blay, Kenna James, and yours truly, the APT bloggers. Reserve your spot for the Meet & Greet here. Like this post? Head on over to the sidebar and subscribe. You will be alerted whenever a new APT blog post goes live! cool about the weekly seniors deepstack events! thanks Heather! Thanks to you Linda! Paul and I are thinking about playing one when we are there. I will be there July 3 for at least a week. I think I also will go for the opening Big 50. Don’t see how I can pass that up. One thing about BB ante and larger starting stacks. Yes the starting stacks are bigger, But level 1 starts at 200-100-200, so there is a HUGH jump in how much money you are putting in at the beginning of the tournament. $500 per orbit level 1 as opposed to $75 in a more “normal” tournament. I haven’t done all the math but it appears that these tournaments are not nearly as “deep” as they are promoted to be. Absolutely need to review structure sheets to really assess how deep any tournament is. If it’s a single day WSOP event that will last 12 hours, well that is not much different than your long format daily tournament that takes about the same time to wrap up. May start with smaller stacks, but you point out smaller initial blinds. Good structure but not quite main event good! Thanks for the heads-up, Heather. So looking forward to this event!! FWIW I stayed at the Fortune Hotel when I was in LV a few weeks ago. Old but adequate. Listed rates are cheap and the “Resort Fee” was only $10 as opposed to the $40 or $50 per night some of the others charge. I also used Uber all by myself for the first time! (My wife or daughter usually do it for me.) So cool watching the car approaching like a video game! This was the first time I’ve flown to LV and NOT rented a car. We went with an AirBnB for the first time for our trip out in June. Just can’t stomach the resort fees any more and want to be close to the Rio. We got really nailed with Uber recently when we got into Boston on a late flight and the “surge pricing” kicked our $50 trip home up to $122. Think we’ll probably stick with renting a car in Vegas.